Can't make my minnd up on names and looking for inspiration. All the lists on web annd in books are the same run of the mill names. I have a few I like but can't decide. Just quickly off the top of my head, my nephew is called Tiernan. Had never heard this as a first name before. (ok its prob really common!) But my SIL always got loads of compliments for it. Turlough or Doireann. Can't think of any more right now, busy cleaning up after dinner! On the radio the other day I heard the name 'Ceola'. He brothers name was mentioned too and it was an irish name so I'm assuming (big assumption!) that it's an Irish name too. Think it's beautiful anyway. I was gonna sat Senan too. Sadhbh for a girl. 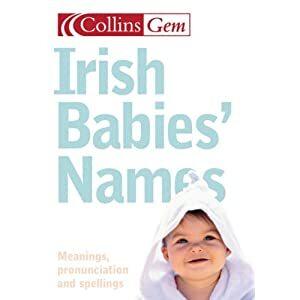 I have this - has loads of really unusual ones - definitely worth the money if you want an unusual Irish name. Decorating venues with my styling team for four years and know what works well in the different spaces, so can advise and inspire. With over 250,000 certified diamonds, Bespoke Diamonds Jewellers specialize in finding the best quality diamond for our customers.